Lake Como TH Elevation: 6500 ft.
Lake Como Camp Elevation: 11,750 ft.
Total Elevation Gain (from camp): 3250 ft.
After having summited Little Bear the day before we had little worry about what we'd find on Blanca and Ellingwood. Part of the thriller of this day was just waking up for a 2nd day at Lake Como and this amazingly beautiful basin, not to mention being at the foot of Little Bear's amazing northwestern face. The beginning's of this hike actually followed the Lake Como Road which heads out southeast past Lake Como. The road then heads to the northeast towards Blue Lake before it begins to disappear. After Blue Lakes the trail climbed sharply past a waterfall just above 12,200. At around 12800 the climb puts you in the upper basin that meanders around just north of Crater Lake. After Crater Lake the real climbing began. It gets relatively steep and purely talus rocks at this point on. We were honestly expecting a very easy hike to the summit of each peak and it was almost a little disheartening as we encountered much more difficulty than anticipated. The climb up to the Blanca-Ellingwood saddle went well and from there it was a careful and slow trek through precarious rocks to reach Blanca's summit. I remember being on this part of the route and getting disappointed in a way that yet another 14er was so hard and even dangerous. I think much of this feeling was left-over emotion from the crazy challenge that was Little Bear and the anticipation of a safe, easy hike of Blanca. Nonetheless we summited Blanca well and started on over to Ellingwood. We didn't keep the ridgeline all the way over to Ellingwood but rather descended below it to a line we felt safe on, but also didn't lose us too much elevation. At first Ellingwood looks quite daunting from Blanca from acceptable class 2+ routes presented themselves as we made our way over. We had an amazing time getting these two peaks but we also knew what still lay in store .. the death march out. After descending safely from Ellingwood we made quick work of getting back to the Lake and our Camp and then packed it all up. The nices temps we had around the lake qucikly started to rise on us as we descended the elevation. It was an awful hike being tired and being on day 7 in the backcountry and looking forward to a solid meal. 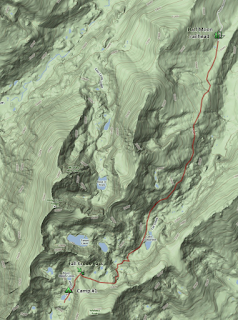 I do not have a track of my own from this hike so I have included generic tracks Blanca and Ellingwood combo. 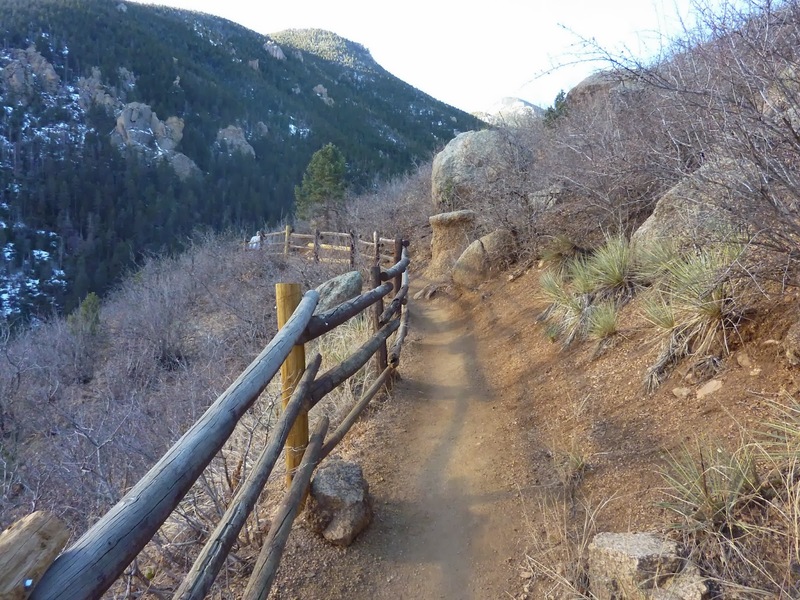 This track shows hiking Ellingwood first and then traversing over to Blanca. We hiked Blanca first and then traversed just below the ridge over to Ellingwood.